Three generations of women – Veronica, who at 38 has just left her husband; her daughter, Simpson, who at 19 often feels older and more responsible than her mother; and Ernie, age 70, who is racked with lung ailments – find themselves living together on Ernie’s rundown farm in Western Maryland, trying to make sense of their jumbled lives. Each of the women has a special attraction to water. Ernie is a dowser. 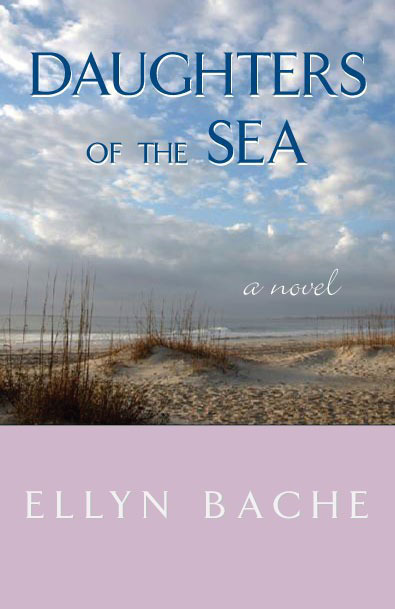 Veronica, having moved inland after many years near the sea, realizes how powerfully she misses the ocean (and her husband, too). Simpson feels an affinity for a tranquil mountain lake, but has no idea of her talents that will eventually make the lake yield up its secrets. Over the course of their year together, the women endure loneliness and love, witness the aftermath of a bizarre murder and an untimely death, and struggle against the weight of responsibilities they long to escape. But not until they understand that it’s possible to be a daughter of the sea anywhere – and that home is not always a “place” – does each one finally make the pilgrimage that will set her free. This is a novel about the yearning to find where we belong – and the luminous path we travel to get there. 1. There’s an old saying that everyone is either an ocean person, a mountain person, or a desert person, depending on where shed like to live. Do you believe this? How does this idea play out in the novel? 2. Dowsing is an ancient practice, thousands of years old, and is still used in some places to locate underground water. Even so, many people dismiss it as a silly folk practice. What do you think? Ernie is a traditional water dowser, but Simpson finds other things. Are their various gifts believable? 3. During their separation, Veronica and Guy find themselves, for the first time, on their own, feeling responsible for everything. In what ways does each one mature? Are they better people at the end of the book? 4. Marshall Banner is deeply affected by the death of a dog when he’s twelve and the death of a child when he’s a teenager. Do these events explain his bizarre behavior over the years, and his final, brutal encounter with an animal control officer? Is he psychotic? Why, or why not? 5. Ernie knows, and to a large extent accepts, that she has a terminal lung ailment. She doesn’t trust doctors or medicines, yet eventually finds both necessary in her struggle to stay independent. Is she wise or foolish about this? Dignified, or pathetic? What is your overall impression of Ernie as a character? 6. Early in the novel, Ernie tells Simpson that not everything makes sense like a straight line. She’s talking about dowsing, but as Simpson learns, it applies to a great deal more. In the novel, what are some of the things that make sense but not like a straight line? 7. 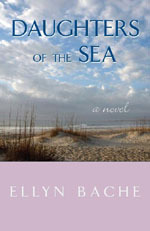 What function does the ocean imagery play in the novel? In what way are all the women daughters of the sea? 8. The animal control practices described in the novel all existed at one time, and many still do. Which ones do you find reasonable, and which unjustified? What do you think of Ernie’s belief that nobody owns a cat? What about Marshall’s statement that animal control people are “all the time playing kissy-kissy with those dogs they’re going to kill?” On either side, what issues do the characters ignore that allow them to lapse into extremism? 9. Simpson and Owen are both ultra-responsible young people who have had to parent their parents. Ultimately, does this aid their emotional growth or stunt it? How does it affect their relationship? Is the decision Simpson finally makes about Owen a sign of maturity, or a retreat into old ways of thinking? 10. Ernie’s friend, Lily, isn’t quite the country bumpkin she looks and sounds like. What did you think of her? At times, Veronica thinks Lily is not as good a friend to Ernie as she ought to be. Does this turn out to be true? 11. Parker Dean’s mother tolerates Guy’s visits to her injured son. In her position, would you do the same? Does his presence help them heal? If so, how? 12. For each of the characters, the concept of home means something different, or at least they think it does. How does the idea of home change for Veronica, Simpson, and Guy during the course of the book?